Comey tells how John Kelly wanted to quit in response to the FBI chief’s firing. “One of the many great things about the F.B.I. is we have some hilarious pranksters in that organization, and so I thought it was a scam by someone on my staff. So I turn to them and I said, ‘Someone put a lot of work into that.’ And then I continued talking,” Comey told ABC News’ chief anchor George Stephanopoulos in an exclusive interview. What Comey soon came to realize was that it wasn’t a joke, and that his tenure as Federal Bureau of Investigation director had come to an unceremonious end after President Donald Trump abruptly fired him. “The audience could see my face change,” Comey said. “And then I finished talking about the mission of the FBI, how everybody has to be part of it,” he told Stephanopoulos. 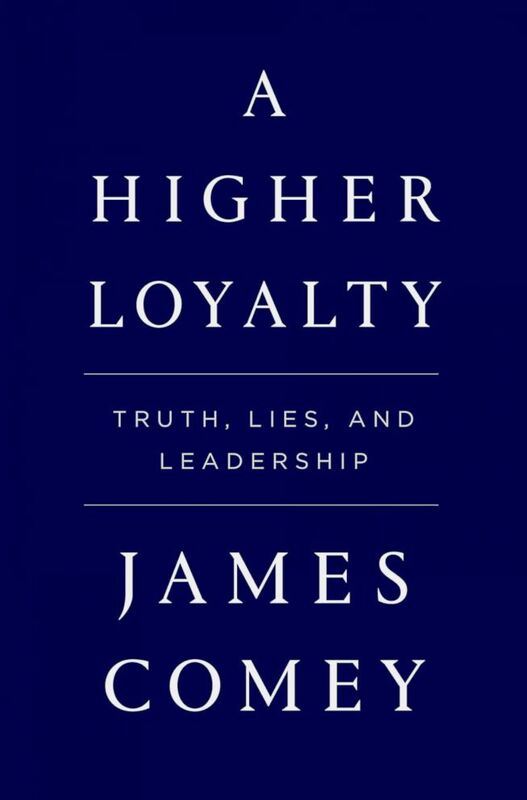 “And I thanked them for their work, I shook all their hands, then I went into a room to find out have I been fired, because I did not expect to be fired.” Comey opened up about the moment he learned he was fired in the interview with Stephanopoulos ahead of the release of his book, “A Higher Loyalty: Truth, Lies and Leadership” which goes on sale on April 17. The news of the firing took Comey on a roller coaster of emotions that ended with him drinking a California pinot noir out of a coffee cup and sitting in the plane’s cockpit to see the nation’s capital as he hit the end of his career in public service. He said his reaction to the news was disbelief. “They also, I think, attached to it a letter from the attorney general and a letter from the deputy attorney general, purporting to lay out the reasons I was fired. And so I think … I saw those actually [at] the same time, and my reaction was, ‘That makes no sense at all,’” he told Stephanopoulos. In addition to receiving a confused call from his wife Patrice, who had heard that he was fired before hearing it from Comey directly, and a friend, Comey said he also got a call from then-Secretary of Homeland Security John Kelly, who now serves as Trump’s chief of staff. 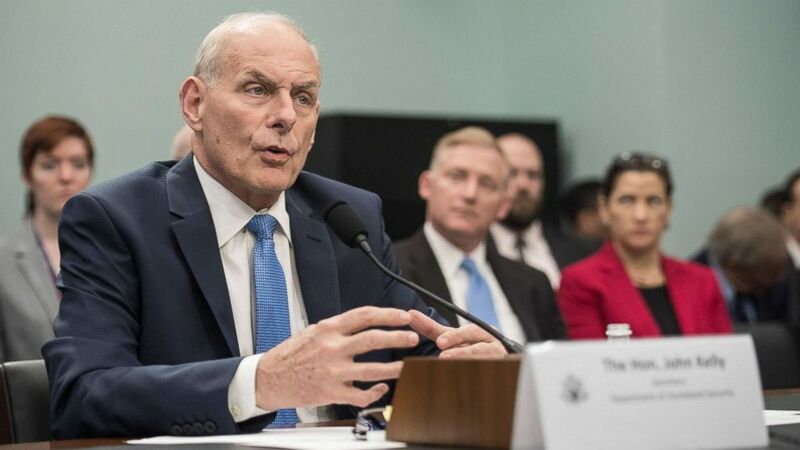 (Nicholad Kamm/AFP/Getty Images) John Kelly testifies at a House Appropriations Committee Homeland Security Subcommittee hearing on "The Department of Homeland Security Fiscal Year 18 Budget Request" on Capitol Hill, May 24, 2017. “If he called you today saying he intended to quit, what would you tell him?” Stephanopoulos asked. “I understand. I think you've sacrificed as much as you really can of yourself for the country. And no one would begrudge you leaving. You've done your absolute best. It's come at a cost to you, but that no one can blame you,” Comey said. The White House referred ABC News to the Republican National Committee for comment from Kelly. “What’s dishonorable is that James Comey lied about leaking information to the media, consistently contradicted himself in testimony, and made a series of bizarre decisions as FBI director. That’s why Republicans and Democrats alike have said he has no credibility,” RNC spokesman Michael Ahrens said in a statement to ABC News. While news of the firing still hadn’t sunk in, there were logistical hurdles Comey had to deal with immediately, like, since he was no longer a federal employee, whether he could take the same plane from California back to Washington. “I actually gave thought to renting a convertible and driving almost 3,000 miles, something I've never done. I've had friends drive across country, but I'm not single or crazy so I didn't do it,” Comey told Stephanopoulos. “I took a bottle of red wine out of my suitcase that I was bringing back from California -- a California pinot noir -- and I drank red wine from a paper coffee cup and just looked out at the lights of the country I love so much as we flew home,” Comey said. 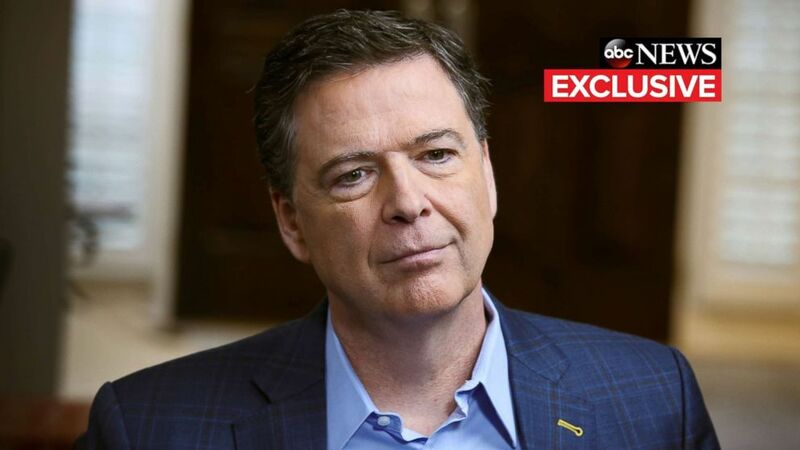 (Ralph Alwang/ABC News) ABC News Chief Anchor George Stephanopoulos sits down with former FBI director James Comey for an exclusive interview that will air during a primetime "20/20" special on Sunday, April 15, 2018 on the ABC Television Network. He also took one other indulgence on that flight home, and asked a favor of the pilots. Comey said that he doesn’t remember being angry in the immediate wake of his firing. “I remember just thinking, ‘This is a lie.’ The stuff about, you know, being fired because of the Hillary Clinton email investigation, that makes no sense at all. And then, of course, I quickly saw on the news that, you know, the White House saying that the FBI was in tatters and the workforce -- it was relieved that I was fired. More and more lies. And so I was worried about the organization, worried about the people,” Comey told Stephanopoulos. “I was a bit numb at the time,” he said.